Knowledge Management (KM) has gained in importance as organizations have increasingly realized the need to manage their intellectual capital explicitly. Infosys Technologies, a leading IT consulting services provider, has defined a KM architecture to meet the needs of its employees. 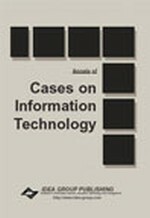 This case recounts the challenges faced along Infosyss KM journey.